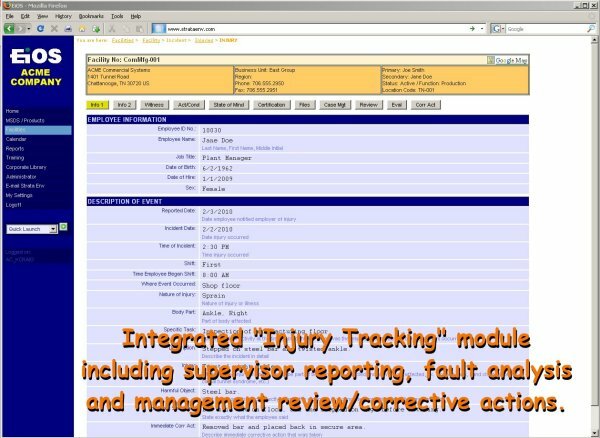 The EiOS software suite is designed to provide flexible management of integrated environmental and safety information for a company with one to multiple facilities. The EiOS system is configured for access by any company designated personnel, with proper user identification and password, via the Internet. EiOS facilitates administrative control and oversight for facility or environmental managers. It tracks, stores and accesses data via the Internet. EiOS can be customized, and it grows with the user. 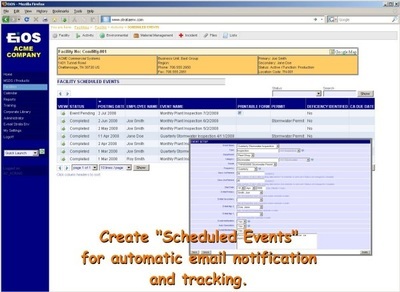 EiOS simplifies project and budget tracking. 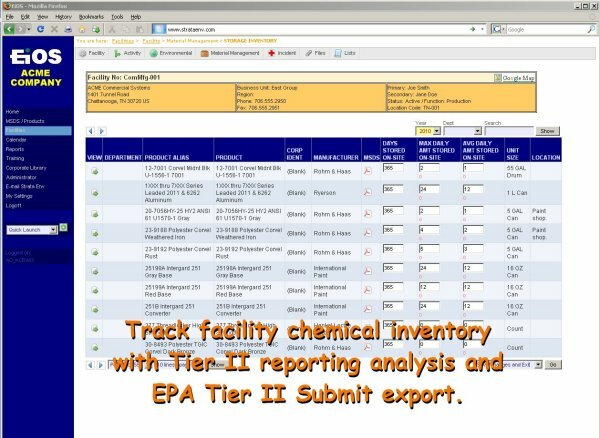 Access comprehensive information on one or several facilities or review data on one aspect of environmental compliance on all facilities simultaneously. 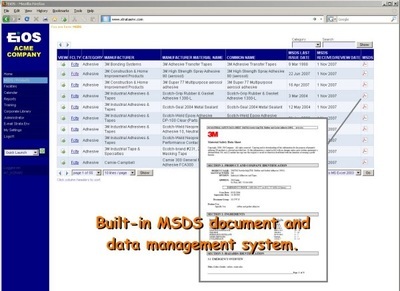 EiOS reduces compliance paperwork and related expenses. 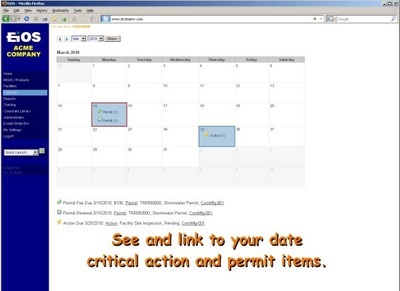 EiOS doesn't require a full-time administrator, as many systems do. 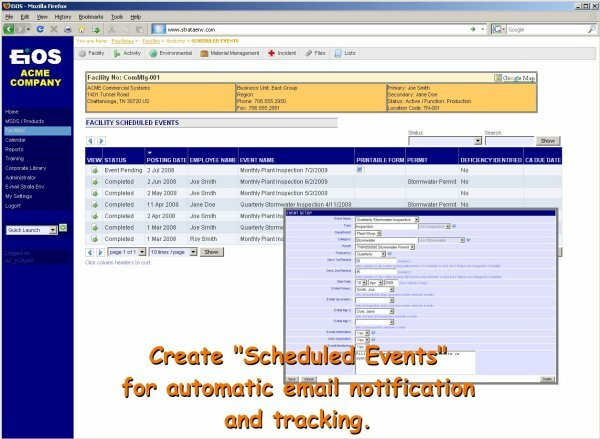 Automatic e-mail notices and reminders to alert site personnel of required inspections. EiOS keeps everyone in the information loop, regardless of location or responsibility level. 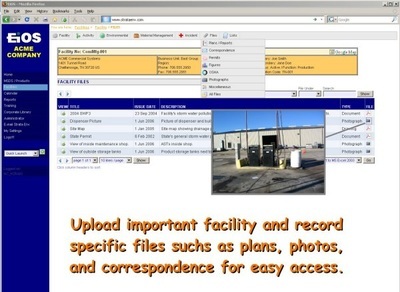 Four levels of access provide control of who views or edits information. EiOS generates detailed information that makes SARA and other compliance reporting easier. 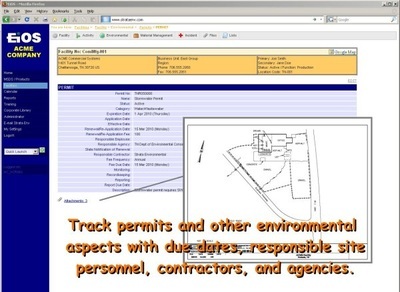 EiOS simplifies documentation, permit renewals, tracking, and monitoring. 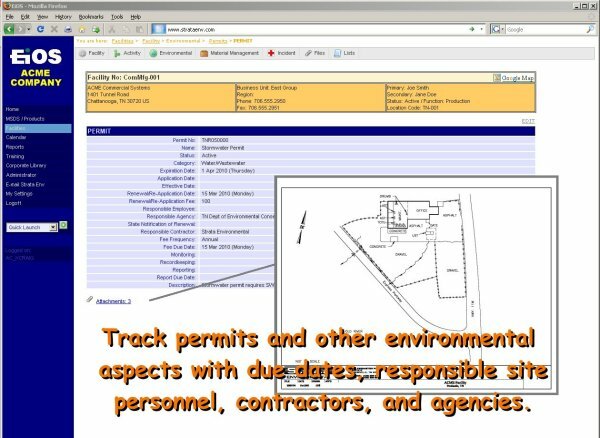 Tracking methods point out potential environmental problems before they become compliance issues. 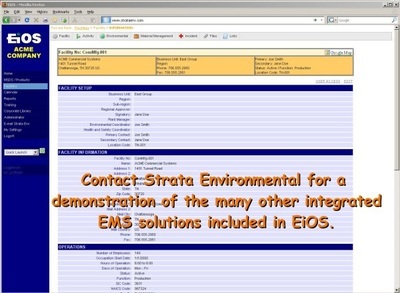 Please contact Strata Environmental for additional information and a demonstration of EiOS.